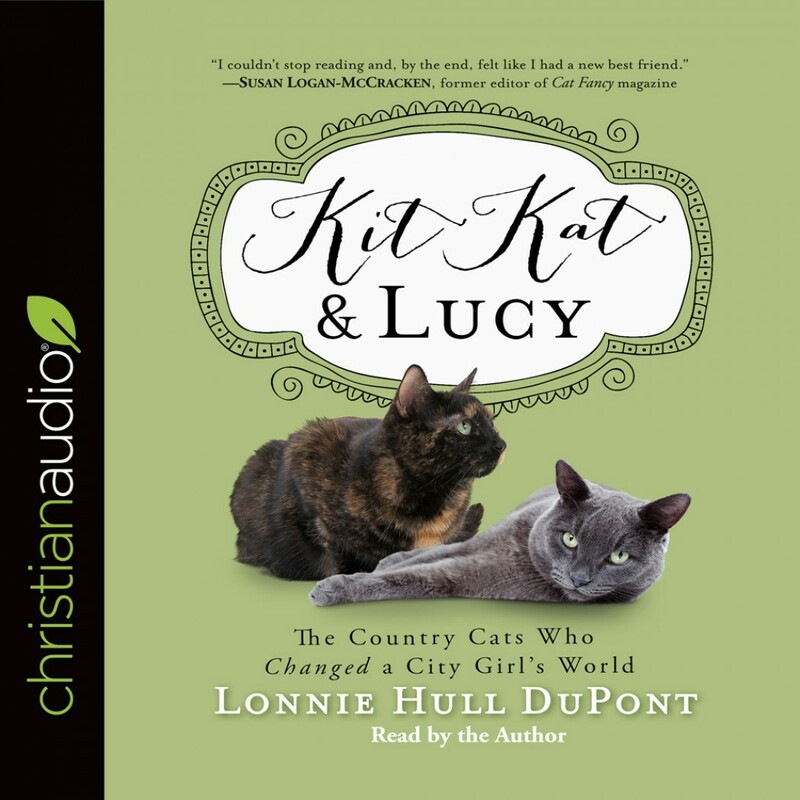 Kit Kat & Lucy By Lonnie Hull DuPont Audiobook Download - Christian audiobooks. Try us free. After years of loving the vibrant city life in San Francisco, Lonnie Hull DuPont reluctantly trades her three-room apartment on foggy, lively Telegraph Hill for a farmhouse on a quiet plain in Michigan. She immediately misses the rhythm and the pace of the city, and the isolation country living brings has her longing for something more. Enter Kit Kat and Lucy--stray cats who arrive at the farmhouse a year apart and each ask to move in. The antics and oddities of these two strong personalities wrapped in fur bring a new light to the farmhouse and DuPont's life. Kit Kat, an obsessive-compulsive tortoiseshell, can purr her new human into a happier state of mind. Lucy, the playful, leaping Russian Blue who can nail a bat right out of the air, makes her laugh. From the hysterical process of getting two strange cats to like each other, to the exciting years of watching those cats thrive--and inspire DuPont in the process--this book is an energetic tale of cat and human foibles. Animals enrich our lives, and the heartwarming story of how Kit Kat and Lucy changed one woman's world will leave readers enchanted.